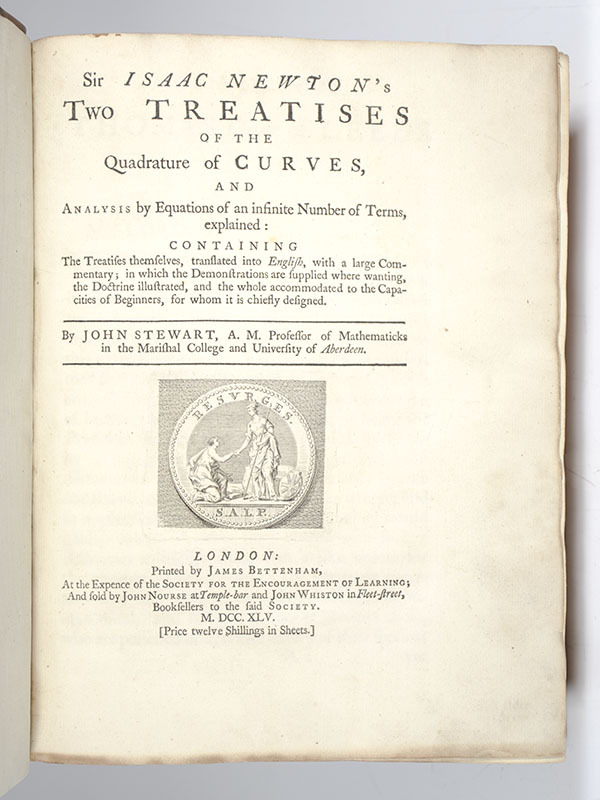 Sir Isaac Newton’s Two Treatises of the Quadrature of Curves, and Analysis by Equations of an Infinite Number of Terms, Explained. Newton, Sir Isaac. Translated by John Stewart. London: Printed by James Bettenham for the Society for the Encouragement of Learning, 1745. 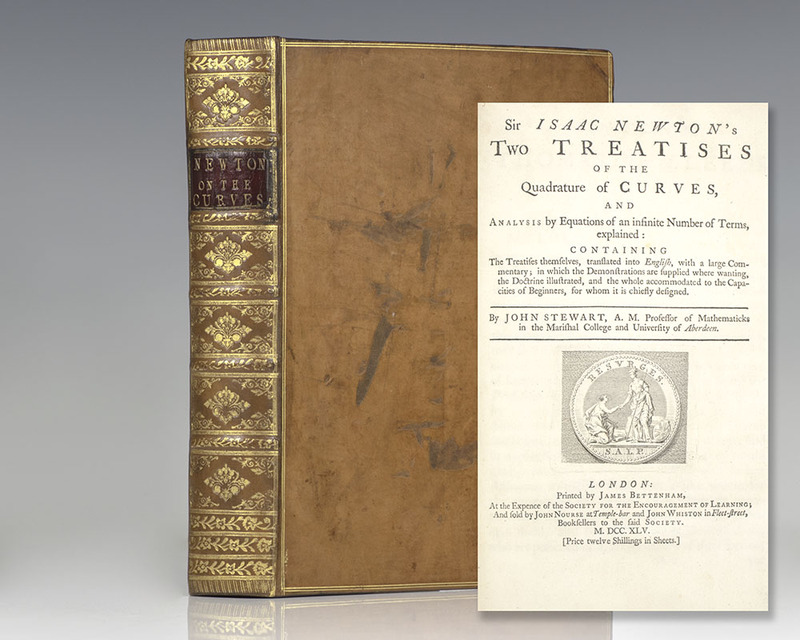 First edition in English of the mathematical appendixes to Newton‘s fundamental 1704 Opticks, one of the greatest works of science ever published. Translated from the Latin by James Bettenham, Professor of Mathematics at the University of Aberdeen. Quarto, bound in contemporary calf, gilt titles to the spine, burgundy morocco spine label, rebacked, woodcut diagrams throughout the text, engraved tailpiece. 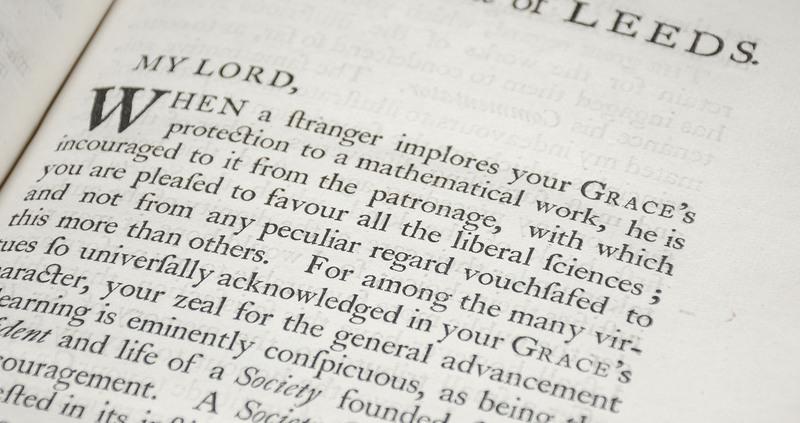 In very good condition with some light wear and browning to the text, with wide margined text. Exceptionally rare and desirable, first editions are scarce with only four appearing at auction in the last 90 years. English mathematician, astronomer, theologian, author and physicist Sir Isaac Newton is widely considered one of the most influential scientists of all time and a key figure in the scientific revolution. 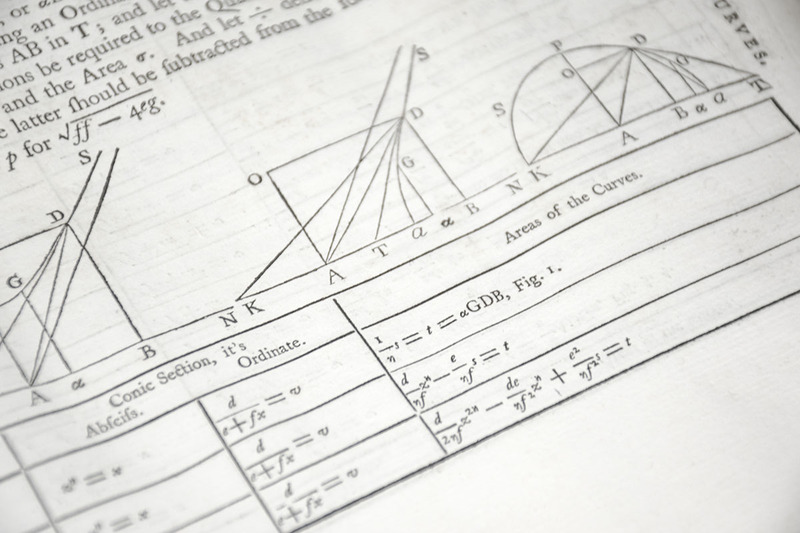 In one of his most important works, Philosophiæ Naturalis Principia Mathematica, Newton formulated the the laws of motion and universal gravitation that formed the dominant scientific viewpoint until being superseded by the theory of relativity. 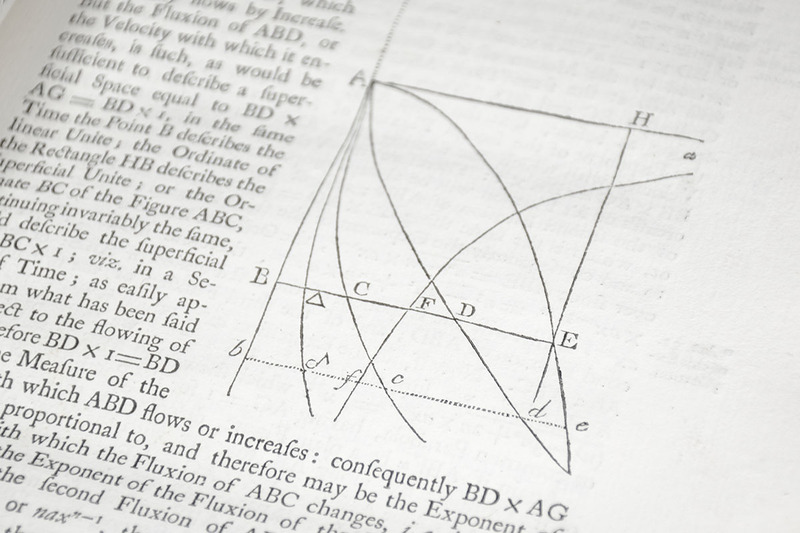 Considered one of the greatest works of science ever published, Newton's second major book, Opticks, analyzes the fundamental nature of light by means of the refraction of light with prisms and lenses, the diffraction of light by closely spaced sheets of glass, and the behavior of color mixtures with spectral lights or pigment powders.